American magazine Newsweek on Tuesday said Vietnam treated President Donald Trump to a state dinner last weekend that included shark fin soup, a local delicacy “responsible for driving sharks to extinction”. 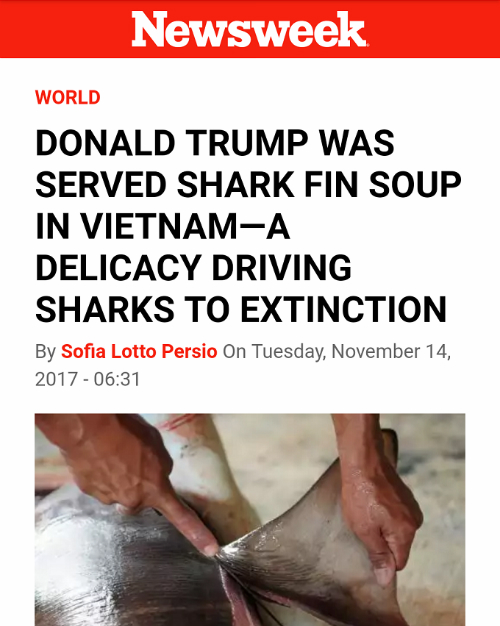 A screen capture shows Newsweek's headline about Trump being served shark fin soup in Vietnam. Only there was actually no shark fin. 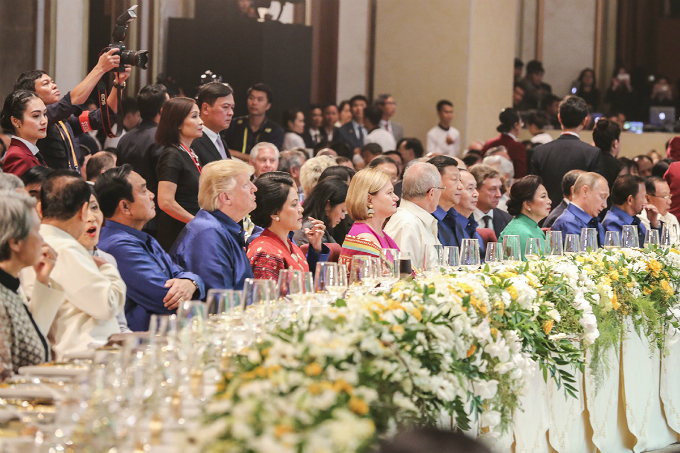 A menu obtained by VnExpress International shows that the U.S. President was served a 9-course meal in Hanoi (besides desserts, tea and coffee) featuring bacon, egg, shrimp, pemmican, scallops, cod, swim bladder, chicken and local vegetables. 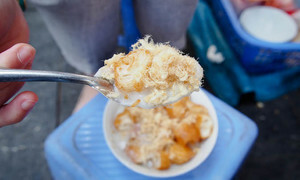 Newsweek called the swim bladder soup, the fifth dish on the menu, “controversial”, saying that the demand for fish maw is threatening the extinction of two fish species in the Gulf of Mexico. 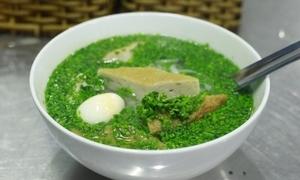 But according to the Vietnamese version of the menu, the soup was made with common mackerel, a fish which conservation status is of least concern, according to the International Union of Conservation for Nature. 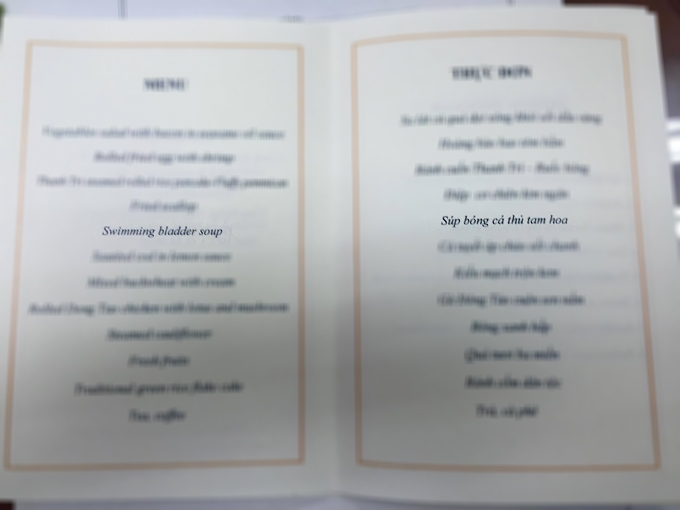 The menu obtained by VnExpress International does not mention shark fin at the state dinner attended by President Trump in Hanoi on November 11. To be fair, Vietnam is not exactly a shining example when it comes to wildlife protection. 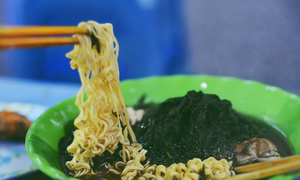 Shark fin soup is popular, and endangered species such as rhinos, pangolins, tigers and langurs are all consumed in one way or another. 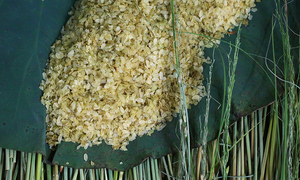 Yet according to sources familiar with the issue, the country is trying to keep environmentally controversial dishes off the big tables. Shark fin soup was considered for the menu at the APEC Summit in Da Nang last week, but fortunately the chef decided to serve something less exotic. 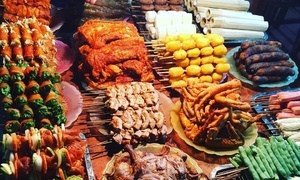 Pham Anh Tuyet, the Hanoi-based culinary expert who was mainly in charge of the APEC meals, said that her team had to consider cultural and environmental aspects when they were designing the menus. 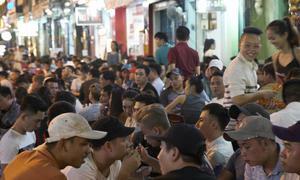 “If we'd served shark fin soup we'd have damaged the environment, which should be completely avoided,” Tuyet said. 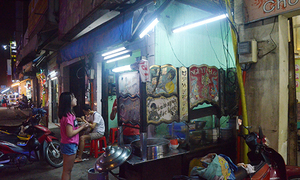 She said the world leaders, including Trump, were served chicken soup instead in Da Nang. According to the International Fund for Animal Welfare (IFAW), nearly 100 million sharks are killed each year, and the global shark fin trade is largely responsible for their decimation. Shark finning was banned in the U.S. under the 2000 Shark Finning Prohibition Act but conservationists insist that shark fin soup is still served in several restaurants across the country.